When you shop for loans for a home purchase, you should be looking closely at the mortgage rate that is offered. In some cases, you might be surprised by the difference in the quotes that you get. It is important to be aware of par pricing. Sometimes borrowers may not realize that the facts of their situation do not require many loan adjustments, and thus they qualify for a low par rate. At Pulgini & Norton, our Boston real estate attorneys can evaluate your situation to determine whether the mortgage rate that you are getting is fair. We may be able to provide you with legal representation in other residential real estate matters as well. Banks and lenders are in the business of making money by processing your loan. Accordingly, they charge for various adjustments. It may be extremely challenging for any consumer to have sufficient information to compare loan quotes. Sometimes a buyer ends up with a higher mortgage rate than is appropriate, and this may be expensive when looking at the entire life of the loan. For example, a mortgage lender may still manipulate the mortgage rate for a low-risk borrower's mortgage rate by taking too much yield spread premium. Yield spread premium is the money paid to a mortgage broker when a borrower is given a higher interest rate for a loan so that fewer up-front costs, such as origination fees, are paid. Par rate is the base interest rate or reference point for a mortgage. It should be the interest rate for which you qualify with a bank or lender when there is little or no interest rate manipulation, such as a yield spread premium, lender credits, or payment of discount points. Generally, this rate is determined by your credit score, the type of property that you are buying, the amount of the loan, the loan-to-value ratio, and other mortgage pricing adjustments. Sometimes mortgage lenders or banks quote a par rate to let the borrower know what they would pay without points. The par rate and the closing costs may give a borrower a point of comparison between quotes. 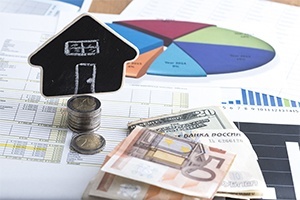 Sometimes lenders offer low closing cost loans, but the lender may be charging a higher rate to obtain a profit when the loan is sold, so it may not matter that they have given a lower cost loan to the borrower. In those cases, it is important to see both that rate and the par rate. It may be helpful to retain an attorney who can review the mortgage adjustments that your lender is seeking. Among other things, your attorney can evaluate the par rate alongside all of the costs and determine what you are getting for your money. When comparing mortgage rates, you will want to know what the par pricing is, as well as alternative rate and point combinations. Whether you are a borrower or a lender, it is important to understand the terms of a loan commitment, including the par rate pricing. At Pulgini & Norton, our Boston real estate lawyers can assist you with every step of securing a mortgage and entering into a residential property transaction. Our firm also represents buyers, sellers, associations, and lenders in Hyde Park, Andover, and Somerville, among other Massachusetts communities. Call us at 781-843-2200 or contact us through our online form for a consultation with a mortgage attorney.